When you sign up fill out the following information about your singles character using this template. Name: The name of your superstar/vixxen. Hometown: Where is your character from? Nickname: Does your character have any nicknames they go by? Manager: Does your character have a manager or will they eventually manage someone else? 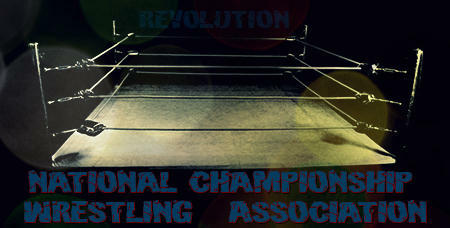 NCWA Accomplishments: To fill out when you win a title or major match. Non-NWCA Accomplishments: Has your superstar/vixxen held titles in other companies? NCWA Win-Draw-Loss Record: Starts at 0-0-0. First column gets updated when you win, second for draws, third for losses. Current NCWA Feud: Updates each time your character is in a feud. Face, Heel, or Tweener: Is your character a good guy (face), bad guy (heel), or neither (tweener)? Style of Wrestling: Does your character prefer to make people tap out or are they a brawler? Gimmick: is your character a cooky cultist or a street smart kid? Let us know! Finisher: What is the name of your finisher and what exactly is it? Appearance: The basic picture of your superstar/vixxen. What do they wear to the ring? Entrance: What song plays as they enter the ring? How does their entrance go? Introduction Promo: Give us a taste of your character and what we can expect. Tag Team Name: The name of your Tag Team. Tag Team Members: Which two wrestlers make your up tag team? Height: How tall is each member of your tag team? Weight: How much does your tag team weigh individually? Together? Age: How old are the two members of your tag team? Hometown: Where are the two members of your tag team from? Nickname: Do the members of your tag team go by any nicknames? Manager: Does your tag team have a manager? Non-NWCA Accomplishments: Has your tag team held titles in other companies? Face, Heel, or Tweener: Are your tag team good guys (faces), bad guys (heels), or neither (tweeners)? Style of Wrestling: What style of wrestling does your tag team employ? Brawlers? Highflyers? What about the individual wrestler inside of your tag team? Gimmick: What is the overall gimmick of the tag team? Who plays what sort of role inside the tag team? Finisher: What is the name of the finisher that the two employ together? Do they have individual tag team maneuvers? Appearance: The basic picture of your tag team members. What do they wear to the ring? Introduction Promo: Give us a taste of your characters and what we can expect. Stable Name: The name of your stable. Stable Members: Which wrestlers make your up tag team? If you are writing the stable with another person, let us know who else is in the stable user wise. Age: How old are the members of your stable? Hometown: Where are the members of your stable from? Nickname: Do the members of your stable go by any nicknames? Manager: Does one member of the stable act more as a manager? Non-NWCA Accomplishments: Has your stable held titles in other companies? Any individual titles that the members of your stable are proud to have held? Face, Heel, or Tweener: Is your stable a team of good guys (faces), bad guys (heels), or neither (tweeners)? Style of Wrestling: What style of wrestling does your stable employ? Brawlers? Highflyers? What about the individual wrestler inside of your tag team? Gimmick: What is the overall gimmick of the stable? Who plays what sort of role inside the stable? Finisher: What is the name of the finisher that the stable uses together? Do they have individual finishing maneuvers? Appearance: The basic picture of your stable. What do they wear to the ring?